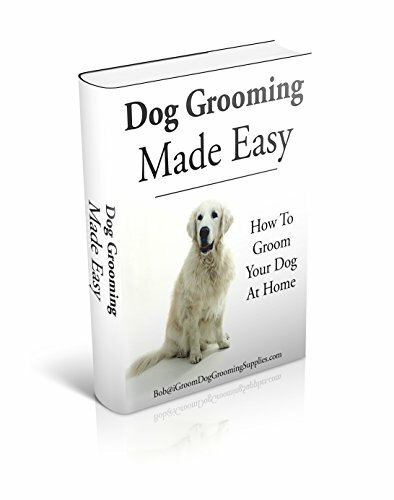 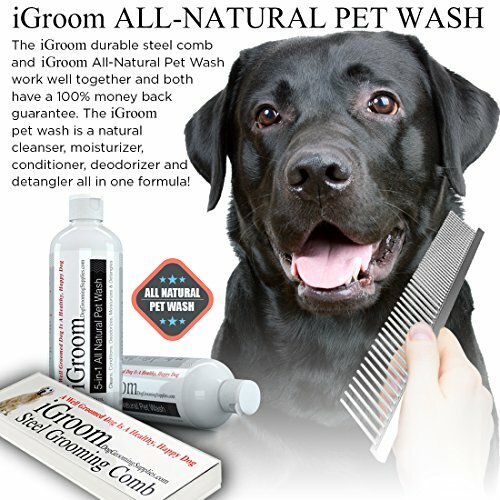 A Well-groomed Dog Is A Happy, Healthy Dog – Your best friend deserves the best! 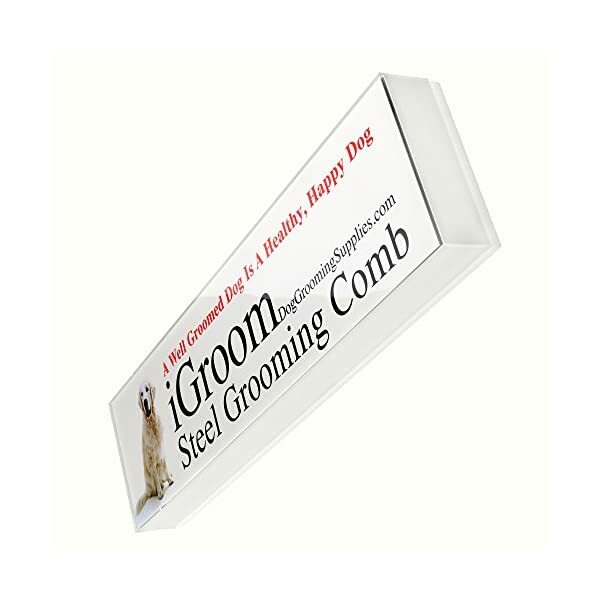 The iGroom Dog Grooming Comb is specifically designed for dogs and pets of all sizes and their many unique coats. 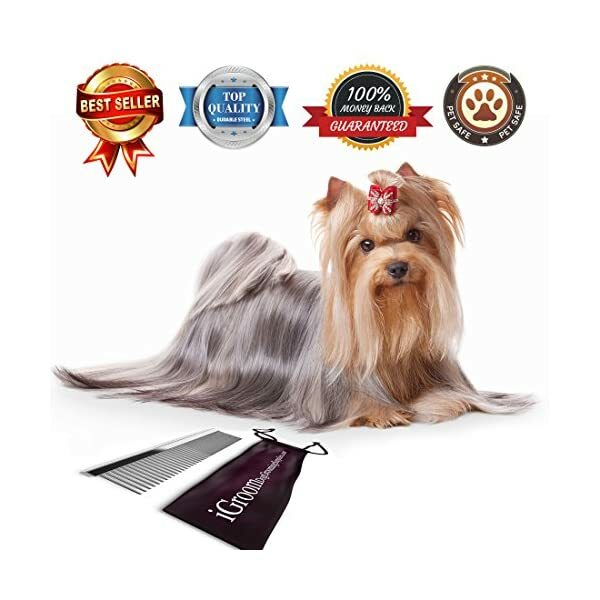 It removes tangles, mats, loose hair and dirt while stimulating your pet’s skin and hair follicles. 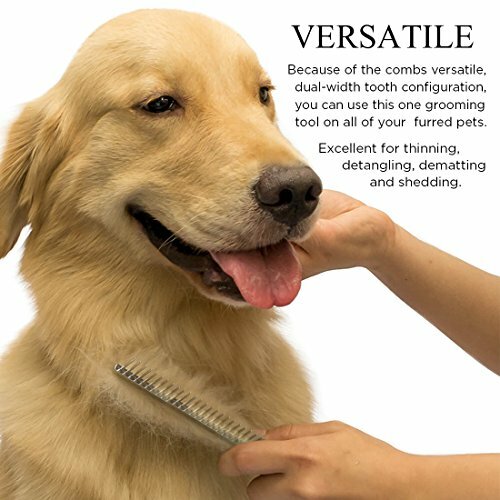 The comb’s irritation-preventing, rounded teeth glide smoothly through your pet’s coat giving it a gentle massage. 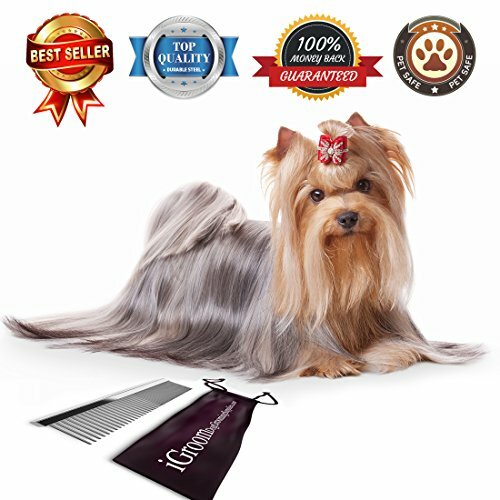 Unleash your pet’s beauty – This special double sided comb lifts your pet’s coat evenly for easier and more precise grooming. 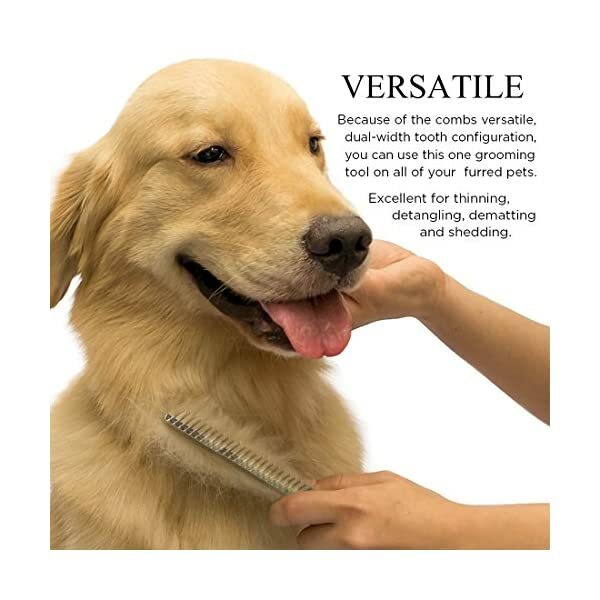 The wider teeth are very effective for removing tangles and narrower teeth are ideal for finishing. 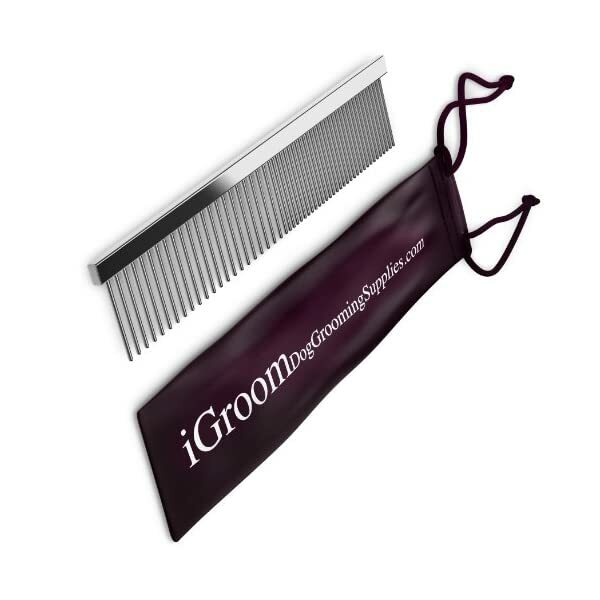 The comb is an important part of your grooming kit along with a brush, dog clippers, scissors and other pet supplies. 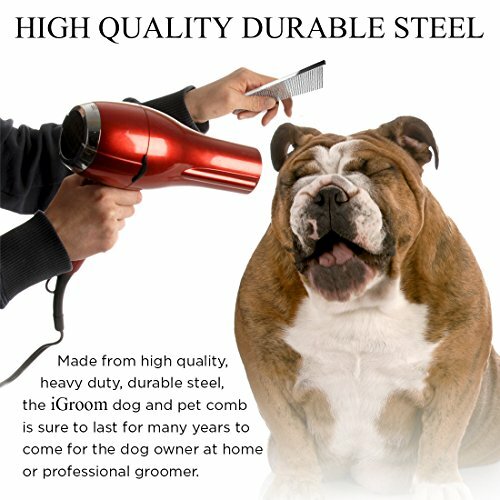 100%, no questions asked, money back guarantee. 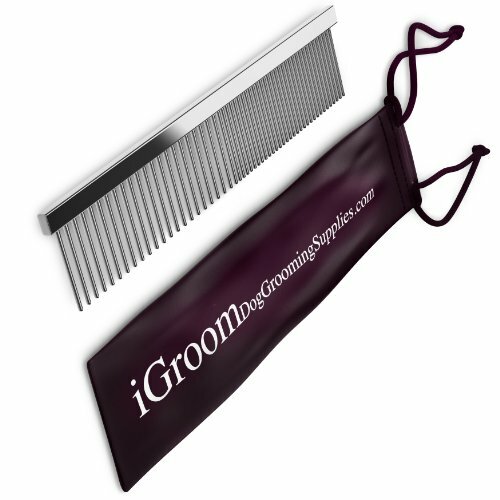 If you’re unhappy for any reason, return your comb for a full refund. 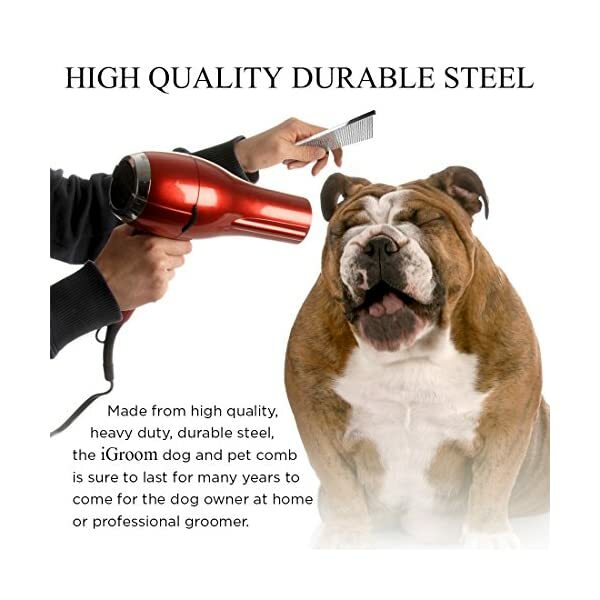 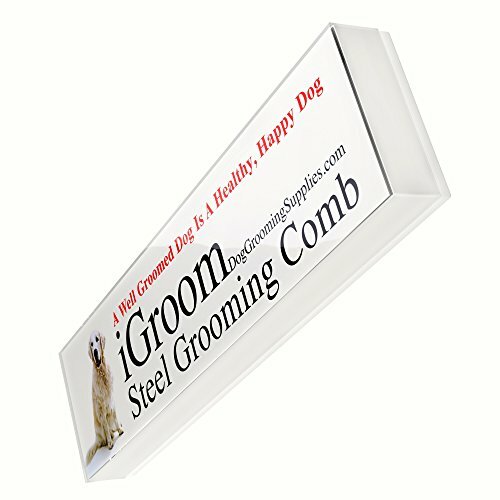 Order your durable steel dog grooming comb now, and when you do, why not order two and get one for your best friend too! 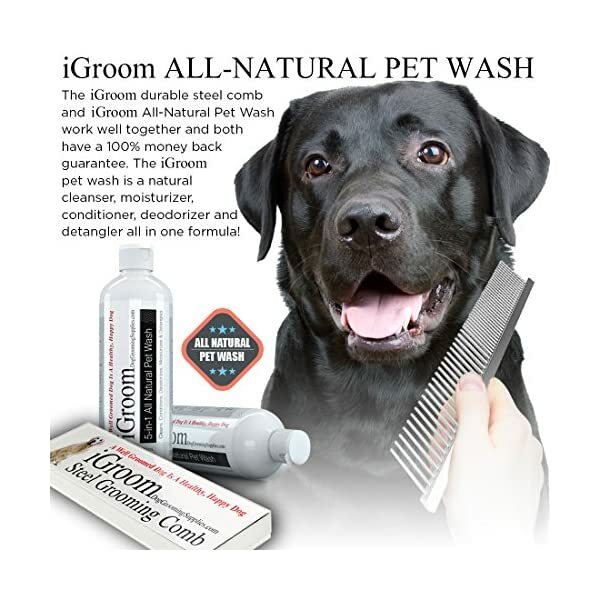 4-Legger Organic Dog Shampoo with Conditioner – 16 oz.